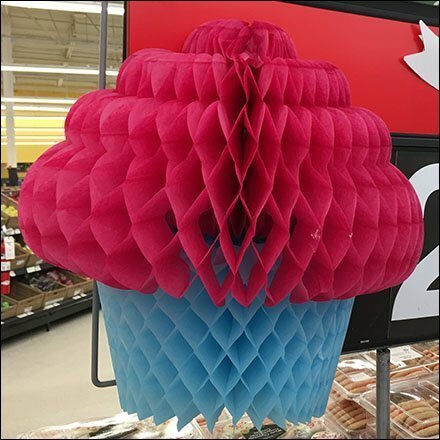 At a small scale this Accordion-Fold Cupcake Promotes Baked Goods concept is often classified as Origami. Larger, some say Accordion Fold in design. Regardless, as a Dimensional attached to flat signage, it is an inexpensive attention compeller that ships and stores flat. Consider the effect here. This Accordion-Fold Cupcake Promotes Baked Goods implementation seen at Target.